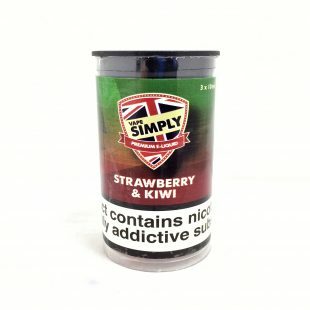 An blend of strawberries and exotic kiwi fruit that will treat your taste buds all day long, e-liquid in 3x10ml tubs! 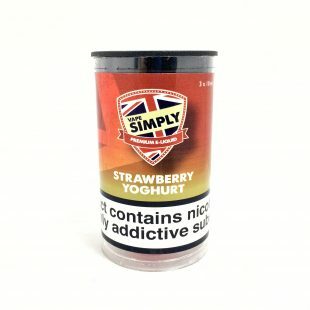 A mixture of strawberries with creamy vanilla, all in the form of an e-liquid in 3x10ml tubs! Cherry, cranberries, and raspberries with hints of mints and menthol, all in the form of an e-liquid in 3x10ml tubs! 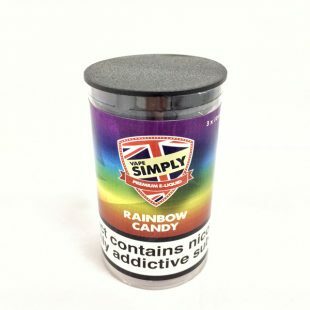 Exactly what the title of the e-liquid is – Rainbow Candy!! all in the form of an e-liquid in 3x10ml tubs! 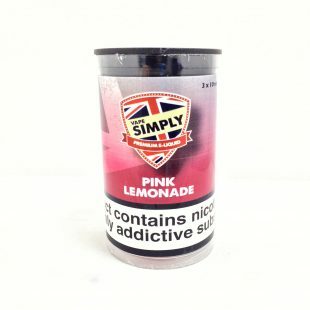 Exactly what the title of the e-liquid is – Pink Lemonade!! 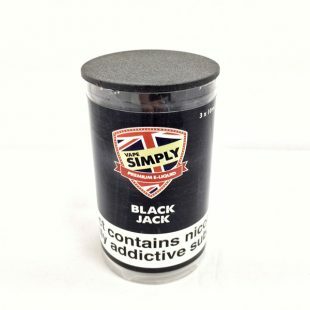 all in the form of an e-liquid in 3x10ml tubs! 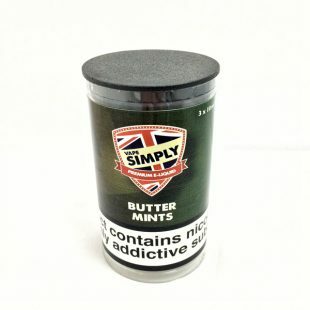 Exactly what the title of the e-liquid is – Butter Mints!! all in the form of an e-liquid in 3x10ml tubs! 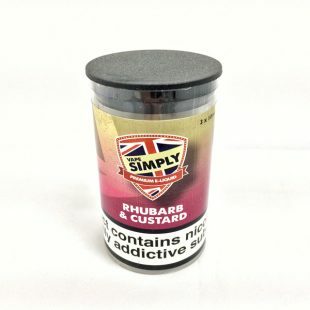 Exactly what the title of the e-liquid is – Rhubarb & Custard – all in the form of an e-liquid in 3x10ml tubs! 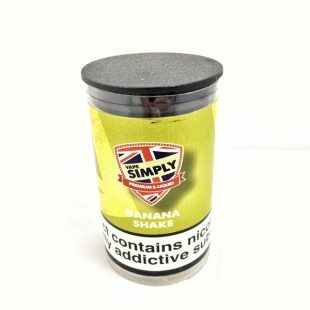 Exactly what the title of the e-liquid is – Banana milkshake! ! all in the form of an e-liquid in 3x10ml tubs! Classic liquorice and aniseed sweets! all in the form of an e-liquid in 3x10ml tubs! A delicious and mouth-watering combination of sweet berries! all in the form of an e-liquid in 3x10ml tubs! Icy blasts with subtle hints of berries in the form of an e-liquid in 3x10ml tubs! 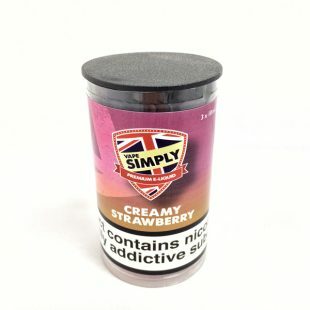 A creamy yoghurt with strawberry flavoured e-liquid in 3x10ml tubs! 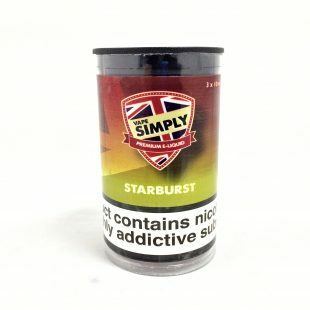 If you love starburst sweets, you are going to absolutely love our starburst flavoured e-liquid! 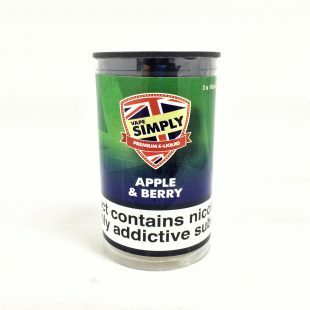 A wonderful mixture of apples and berries all flavoured in a 30ml bottle! 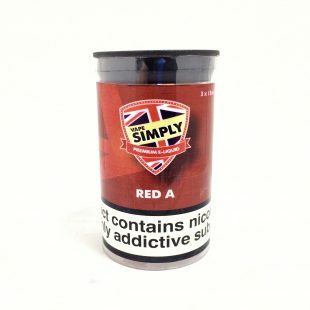 all flavoured in 3x10ml tubs! 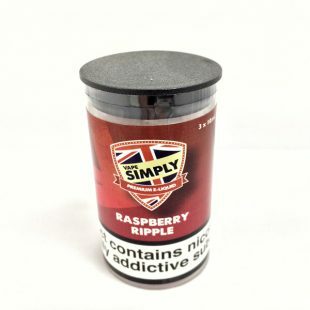 Our Simply Vapour eliquid tastes just like freshly baked Raspberry Ripple cake, frosted with powdered sugar to finish in 3x10ml TPD compliant tubs! 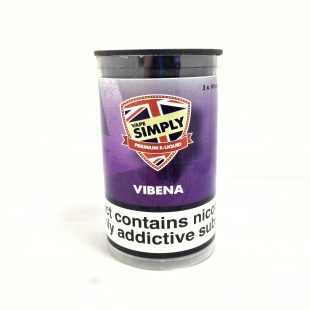 Vibena, a mega fruity e-liquid that tastes just like your favourite drink in 3x10ml tubs! 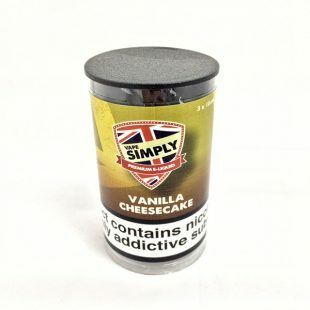 Vanilla Cheesecake, an amazing cheesecake flavour. Subtle hints of vanilla and biscuits. Lush strawberry with various vanillas and creams in 3x10ml tubs! A mixture of Watermelon with a subtle menthol kick all in 3x10ml tubs! Cola drink undertones with a hint of lime and a cool menthol after sensation in 3x10ml tubs! Eliquid bursting with Melon to give you that Mega flavour in 3x10ml tubs! A wonderful collection of Strawberry, Cucumber, Peppermint, Orange and Lemonade; in a perfectly named e-liquid, all flavoured in 3x10ml tubs! 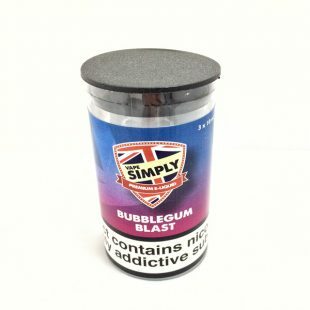 A wonderful mixture of childhood bubblegum sweets with a hint on spearmint all flavoured in 3x10ml tubs!